Last month we were out and about at the sprawling bi-annual Parisian design fest of Maison & Objet. Spread across 8 vast halls with a new floor-plan, this twice-yearly fair is a must visit to see all the latest interior launches and trends for the coming season. Above Left: Our favourite Polish design brand tre showcased several new launches including these colourful Vovo Glasses by Ewa Hiller. tre product presented a stylish edit of accessories and small pieces of furniture of high-quality craftsmanship. Above Right: Czech brand Brokis had an impressive display of lighting in Hall 6 with the standout Puro collection, and the new Knot Table by Chiaramonte Marin. Above Left: Above left: Sebastian Conran's Gifu Collection continues to impress with 100+ products by 14 makers from the Gifu Region in Japan. The functional Kanji Collection handcrafted from iron rods was a pick. Above Right: Debuting at show was the stunning Nouveau bathroom collection created by design studio Bernhardt-Vella for Italian brand Ex.T which featured mismatched geometries. Above Left: The Rising Talent Awards 2019 focused on six young Chinese designers that are redefining traditional forms with innovative materials and modern shapes. Our pick was Beijing-based furniture designer Frank Chou's Combo Sofa. Above Right: One brand in Hall 8 which caught our eye was Portuguese brand Dooq, presenting a new range of luxury home furniture, upholstery and lighting design. 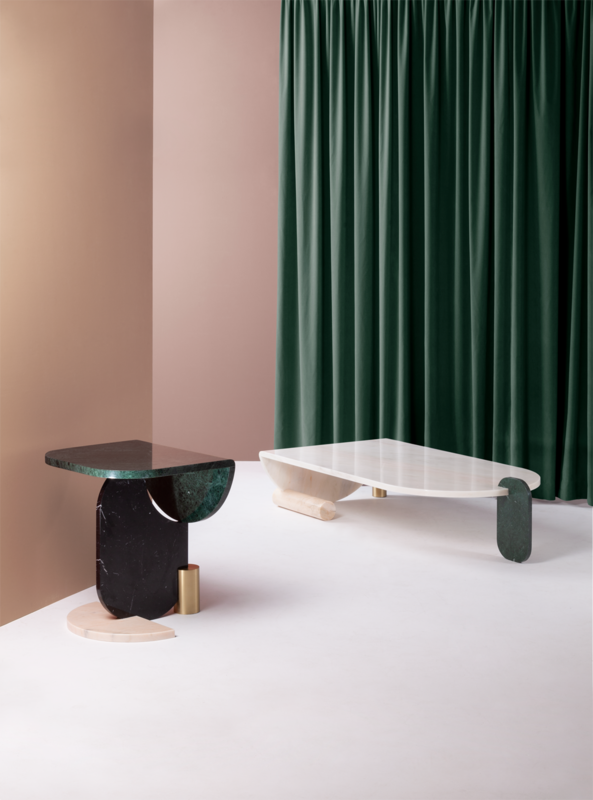 Our picks were the African inspired Souk Mirrors, the art deco Metropolis sideboard and the Playing Games tables (pictured above) made from various cut shapes of marble and brass.